With Naples Vacation Rentals you'll enjoy complete privacy by not being a hotel setting while getting the most value for your money during your stay here. But some of us want that hotel/resort experience, and that's fine too. Whether you see yourself staying in a regular home, a beach villa, or a condo right in the heart of Olde Naples - you'll find the right place for you and your family here with our help. What part of town should I stay in? 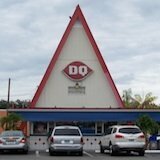 My favorite part of town is Olde Naples (downtown area) because it offers so much to you in one area... beaches, the dock, Crayton Cove, Tin City, fifth avenue south, third street south, and so much more. And if you like to walk or use a bicycle it's paradise! 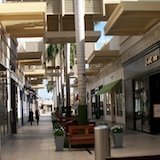 North Naples is great too and has lots to offer like Vanderbilt Beach, Mercato Shops, and great restaurants. As you probably already know, pricing is going to vary based on the individual that owns it, the size of the home, the location, and the time of year that you're interested in staying. You'll get better deals during summer time because that's when everybody is gone! During the winter, rates go up but you'll love the weather. Are you bringing any of your pets with you? Do you want to be able to walk and/or bicycle everywhere are you not worried about that because you'll have a car to use? If you want to play golf, maybe you can find a rental that includes a special deal or offer to play in the communities course. Are you going to need to have a pool in your rental or are you planning on going to the beach all of the time? Is there a community pool you can use? 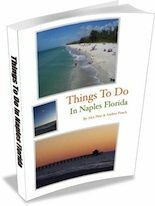 There are so many things to do in Naples that I've created an entire section for that. So you'll have to click over for that and continue exploring below to find your perfect rental! 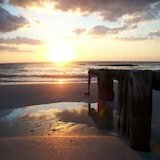 Do you have a rental that's available in Naples Florida? List it here for free... It's fast, easy, and will get you your own page/listing right on this site. 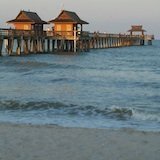 Do you have a vacation rental in Naples Florida? Share it with our visitors. It's easy, free, fast and they'd love to see it!